Let's start by saying, both Evil Within games are targeted toward people who enjoy nightmare stylized monsters, bosses, and environments. These games have always had nightmare fueled bosses with dark environment undertones. They are not your traditionally beautiful fantasy styled environments, but instead, they offer dirty, gritty, and visceral experiences. Now that we have that covered let's jump into some story components and game details to set expectations. The second installment of Evil Within continues the third-person perspective through the entirety of the game by default. A few months after initial release, Tango Gameworks released a patch allowing first-person perspective. I chose to complete the game in third-person style; as the game was initially designed for. 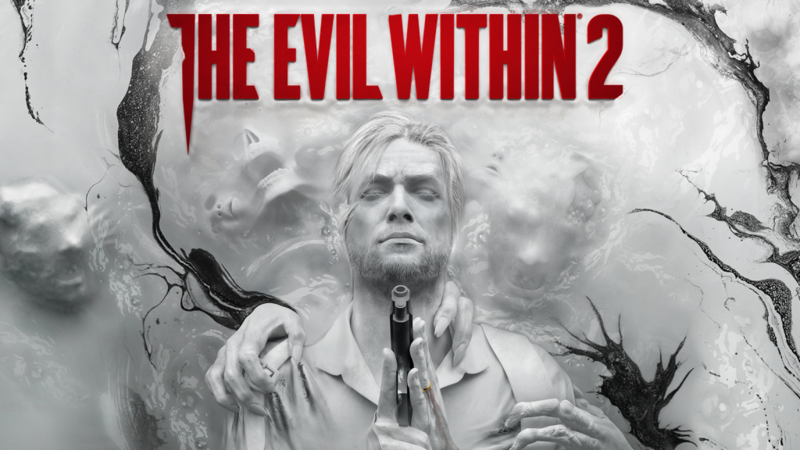 This game picks up three years after the original Evil Within and continues with the development and storyline centered around Sebastian Castellanos. You are quickly greeted with a familiar face (Juli Kidman) during a cutscene of Sebastian attempting to drown his sorrows into the bottom of a bottle. Without giving too much away, you are persuaded into helping MOBIUS and thus begins your new journey. Yeah, we know it's Juli, and you don't trust her, you've got your reasons this time! Once you accept the job to help Juli and MOBIUS, you are brought to a secret facility where STEM continues to operate. You are given information about the planned usage of STEM, but things have become unresponsive and their inside team has lost communication. You are quickly put under to join the STEM network in a place called "Union". It's up to you to find the MOBIUS team and identify the problem or if it can be fixed. As mentioned previously, this game starts with third-person but allows for first-person after updated. I enjoy the third-person aspect of this type of game, and it lends itself well to its combat style and environmental awareness. Unlike the first game, Evil Within 2 provides for a faster start with less running away. You start with a weapon early and quickly find your trusty crossbow. Build ammunition has been expanded to firearms and your crossbow this time. You will continue to pick up gel to upgrade your character and his ability to combat enemies and survive the nightmare. Keep in mind, this game is a survival horror genre, and you can't simply run into a pack of badies and expect to survive (not until upgrades anyway). They introduced a new mechanic in the form of "The Communicator" which gives direction assistance toward goals and waypoints. The Communicator helps with finding side quests/items and identifying additional story aspects. For me, this game didn't induce as much fear or feeling of anxiety. I suppose that's due to the quick access to defensive weapons and ability to kill your enemies early. The monsters and bosses seemed very well done, and I was certainly surprised at times. If you could handle the first game, you will undoubtedly be able to handle this one. The initial stages can be tough as ammo and health deplete quickly. Once you are established, the game seems to even out and immediate death is avoidable. Once your initial playthrough is complete, you have the ability to increase the difficulty further and utilize additional weapons. There is undoubtedly some replay value thanks to this. Saving your progress is handled in two different ways. You can manually save your game at any "safe house" located throughout each world/level. As you progress through each chapter/world/level, the game has an autosave feature which safeguards your progress from random deaths. I've found the autosave feature to be perfectly capable but took care in manual saving when I saw a safe house. One of the many reasons I liked the Evil Within series of games; is due to the time requirements. You can quickly make progress (autosave) with a minimum of 30 minutes per session. The game will have you wanting more than 30 minutes per gaming sessions, but the storyline and overall progress can be achieved through 30+ minutes. I also found the controls intuitive and easily memorable. I know that playing multiple games at once or attempting random 30-minute game intervals can make complicated controls frustrating. That is not the case with this game series. I played through the entire game on PC (Windows 10) and had no issues. The first game had engine issues on Windows at points, but this second iteration seems to be using a new engine called STEM (custom idTech). The game runs great on a wide range of older and new hardware and should provide a great experience on PCs and consoles alike. I thoroughly enjoyed the Evil Within series, and I can appreciate a company that has continued storylines with pieces of closure. You really should complete both games to appreciate the entire storyline and the ending of Evil Within 2. This is not your typical run-and-gun Resident Evil 4-6 type of game and will require some additional tactics before you take down some enemies or bosses. If you enjoy horror or horror survival genre type of games or even the Resident Evil style of games, I highly recommend this series and specifically Evil Within 2.